You really can’t beat an autumn morning, can you? Air so crisp and fresh you can see each breath. Warm colored leaves falling from the trees, giving that satisfying crunch underneath your shoes. Bright sunshine, but chilly enough to wrap up in a warm coat and soft scarf. If your emotional support dog is enjoyable walking with then you’re in luck, other dogs prove somewhat of a distraction on walks. 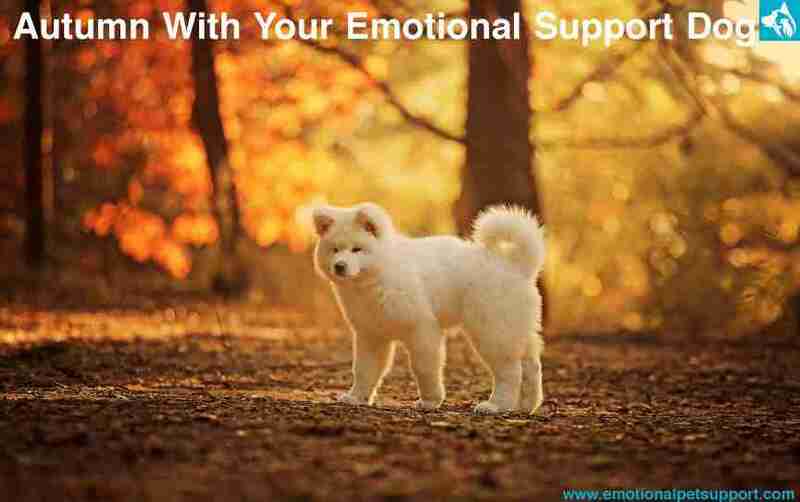 It is always a good idea to have the idea emotional support dog breed so that you have a partner who will help you enjoy that mystical autumn walk. So, get up and beat the other dog walkers to it. 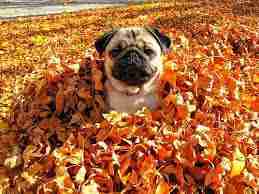 Grab your camera and some dog treats and capture the magic of an autumn morning with your furry friend. You may be thinking dogs are not capable of playing hide and seek. But, have you ever tried doing so with your dog? Autumn is the perfect time of year for this game, as there is still enough cover from trees and plants to give dog owners a head start against the super senses that the dog boasts. Hide and seek with your dog can be played with multiple players or just one. Let’s face it, dogs force us to get outdoors, even on our laziest days. But, exercise is important for the dog’s mental well-being as well as their health, so before heavy rain, snow and ice hit in the depths of winter, so do give them their well-deserved autumn walks. Every walk may bring the same view to you, but each walk through your dogs eyes is an adventure. There are new smells to be sniffed, sticks to be chewed and balls to be chased (and not brought back).